1- Combine the ingredients for the chimichurri in a small bowl. 3- You may wish to taste it and adjust it to your liking. 1- If the steak has been refrigerated, bring it out 1 hour before cooking. 2- Lay the rump flat on a cutting board. Using a small shark knife, cut the fat layer without cutting the meat, in a cross-hatch pattern. 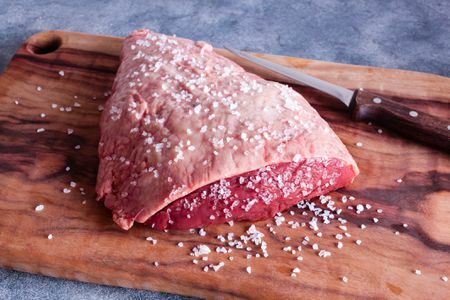 3- Massage 1 tbsp salt into the crevices of the cross-hatched fat layer of the steak. Season with freshly ground pepper. 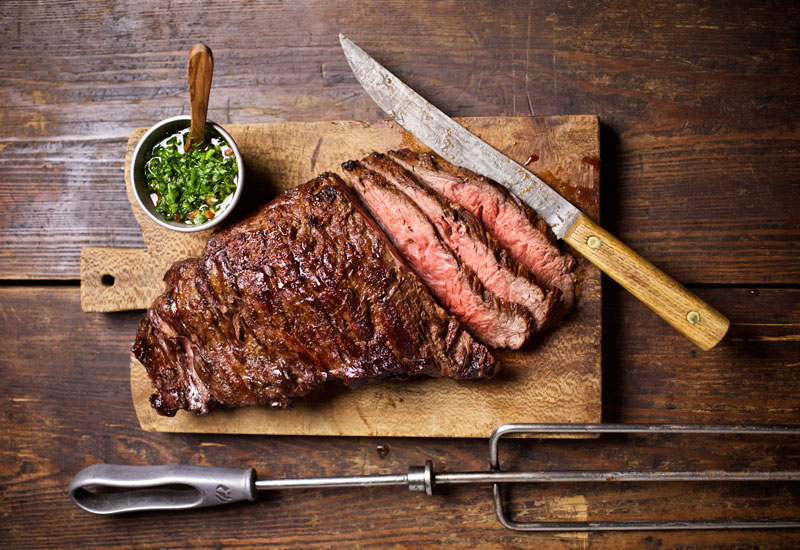 4- If you want to skewer the steak, cut the steak lengthwise, into equal pieces. 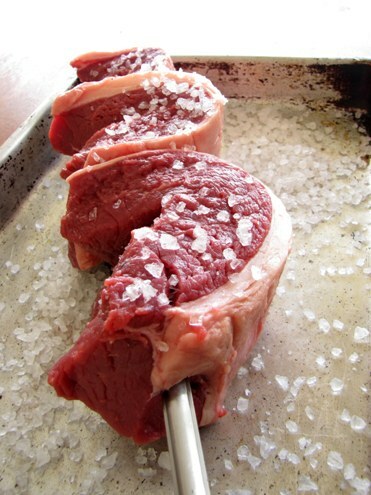 5- Roll each steak piece like a jelly-roll and using a metal skewer, secure the steak so it holds together rolled up. 5- Sprinkle the remaining salt over the meat side of the steak. 6- Lay the skewers on the pre-heated grill, turn off the heat except the burner furthest away from the meat. 7- You will cook the steaks with a grill cover closed, for 20 to 25 minutes, turning them them every 5 to 7 minutes to ensure even cooking for a medium rare experience. Secret tip - Don't miss resting the meat for 5 minutes before serving. This step provides time for the meat to cool slightly and for the muscles fibers to relax resulting in a tender, juicy, flavorful dish.